High-definition color screen display, supports solar energy/USB charging(not included). Support shows four wheels' tire pressure and temperature simultaneously,high/low tire pressure alarm,high temperature alarm and air leakage condition alarm. Ford vehicles with M14x1.5 studs. 25mm Hubcentric Wheel Spacers. 5x108 with 63.3 centre bore. PCD / BOLT PATTERN 5x108. Gives you 25mm spacing per side. This is a complete set (1 pair) of wheel spacers, If you need to do all 4 wheels you will need to buy 2 PAIRS. 1, 3, 4, 5, 6, 7, 8 - SERIES RANGE. If you find any quality problems when you receive your item/s. After receiving. F01, F02, F03, F04, F06, F07, E10, F11, F12, F13, F15, F20, F21, F22, F23, F25, F26, F30, F31, F32, F33, F34, F80, F82, F83, F85, F86. VAUXHALL INSIGNIA 2008-2016. 20pcs 22mm Nut Bolt Covers. Land Rover Range Rover Sport 2005-2013. Note: Only for the hexagonal wheel nuts, not suitable for the locking nut. Easy installation, protect your vehicles nuts from rust and enhance finished to Nuts or Bolt heads. Front Size: 60mm. Due to the the inevitable differences in monitor type and setting, Colors on your computer monitor may slightly differ from actual product colors. Complete with 4 Wheel Center Hub Cap on the reverse side. - Clean the car wheel surface before sticking it. - Adhesive base, suitable for exterior or interior use. - For car body decoration. I will do my best to help you in any way possible. 1 set includes 4 pcs Made by ABS plastic. · Fiat Part number: 51884863. Suitable for the Fiat 500 & 500C. · Genuine Fiat Part. Stoneacre service centre. · Easy to Fit. · 12 Months Warranty. Force Majeure. H - Fixing length - 9.0 mm. H1 - Length up to fixing - 3.5 mm. Spigot Rings / 73.1 mm - 57.1 mm. Spigot Rings, for use to decrease the bore of your wheel hub. 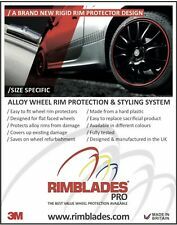 Alloy Wheels Spigot Rings / Centre Rings / Hub Centric Rings. Spigot Rings D1 (mm) - D2 (mm). 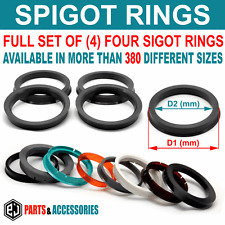 The Spigot Rings are made from Polycarbonate (PC) Plastics. C1 - C2 - C3 - C4 - P icasso - DS3 - C5 - C8. We will do our best. BLACK BADGE EMBLEM. This item is a set of 20 Blue Titan Closed Ended hex wheel nuts. Do not suffer from the thread issues that aluminium nuts suffer with. High Quality Lightweight STEEL nuts. Not for use with Flat seat (eg standard Toyota/Mitsubishi wheels), Ball seat (eg standard Honda/VW wheels), or standard Ford wheels. We provideTPMS apk download link, you can check the above item specifics to find the download link. 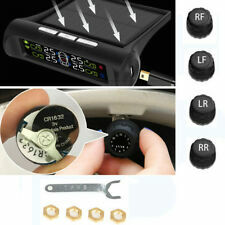 Just buy this USB TPMS product for Tire pressure monitoring. Android Radios. TPMS stands for tire pressure monitoring system. Universal for 14"-18" tyres with max. SET OF 4 WHEEL TYRE STORAGE BAG / COVER. Premium single tyre storage bag. GREAT FOR WHEEL TRANSPORT AND STORAGE. carry handles for easy transport. With sturdy carrying handle to make transportation easy. BLACK BADGE EMBLEM. We will resolve it for you in 48 hours. Size - 55mm 5.5cm. MADE FROM VERY HIGH QUALITY PLASTIC RESIN APPROX 3 - 4MM THICK. Protects valve against exposure to dirt and dust, avoiding potential for flat tyre. Android Radios. -We provideTPMS apk download link, you can check the above item specifics to find the download link. Just buy this USB TPMS product for Tire pressure monitoring. TPMS stands for tire pressure monitoring system.